For some of us, sheepskin takes us back to our childhood when there seemed to be a rug in every home. 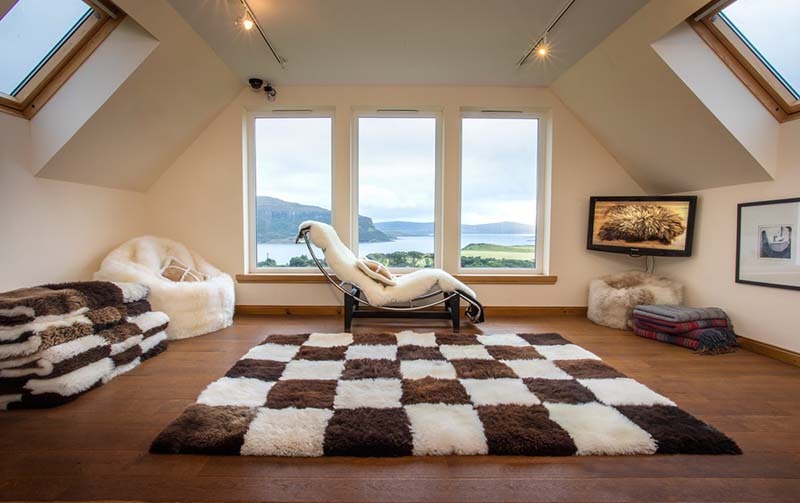 But sheepskins are now more popular than ever, as Skyeskyns, a sheepskin tannery on Skye which produces these beautiful and durable natural products, can confirm. Skyeskyns was established in 1983 by Clive and Lydia Hartwell in Waternish, a peninsula in the North West of the Isle of Skye. It is the last remaining commercial sheepskin tannery in Scotland and remains a family business with Lydia and her daughter Jess at the helm, driving the business forward and ensuring that Skyeskyns’ products are ethically sourced and carefully selected to offer customers the best. 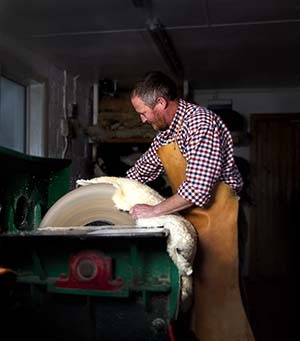 Dave Till, general manager at Skyeskyns, explained: “Whilst Skyeskyns was first established 35 years ago, we have seen an increase in the popularity of sheepskin in the last five years. It is now very on trend. From pet mats to large throws and designer rugs, Skyeskyns’ products add style, texture, comfort and a touch of luxury to any room – and quality is assured. But for those who put sheepskin in the same category as the fur trade, Dave continued: “Our sheepskins come from animals that have been sent to the abattoir for meat – we use what is essentially a waste product to make something beautiful. But it’s not just about the products – Skyeskyns is committed to maintaining and developing their tanning craft, and to supporting a sustainable rural economy. This commitment was recognised when they won a regional Rural Business Award for Manufacturing in late 2018. Part of their approach includes educating the public and spreading the word about wool-on tanning: Skyeskyns offers free tours of their Waternish tannery so you can see for yourself how the fleeces are made and how age-old skills are preserved. 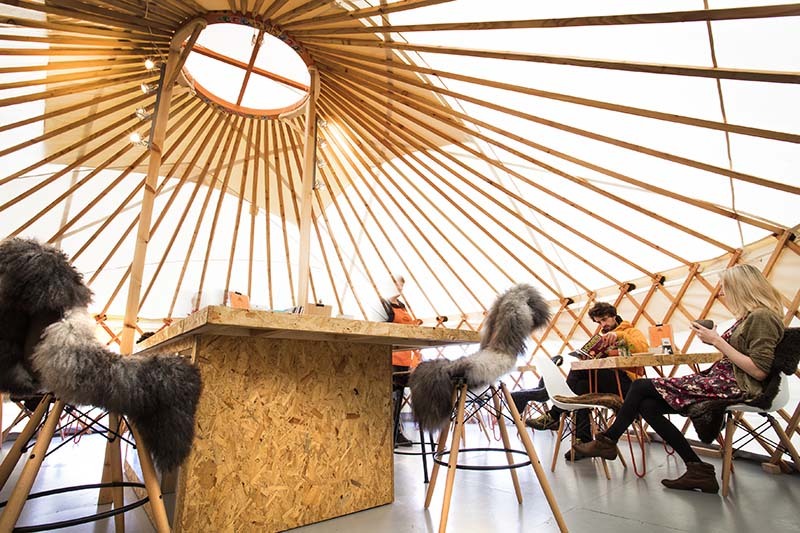 And if you visit the tannery between April and September, you could also spend some time in their pop-up seasonal tea yurt, YURTea&Coffee, and enjoy delicious artisan coffee, Skye baking and more, whilst comfortably nestled on some luxurious sheepskin. 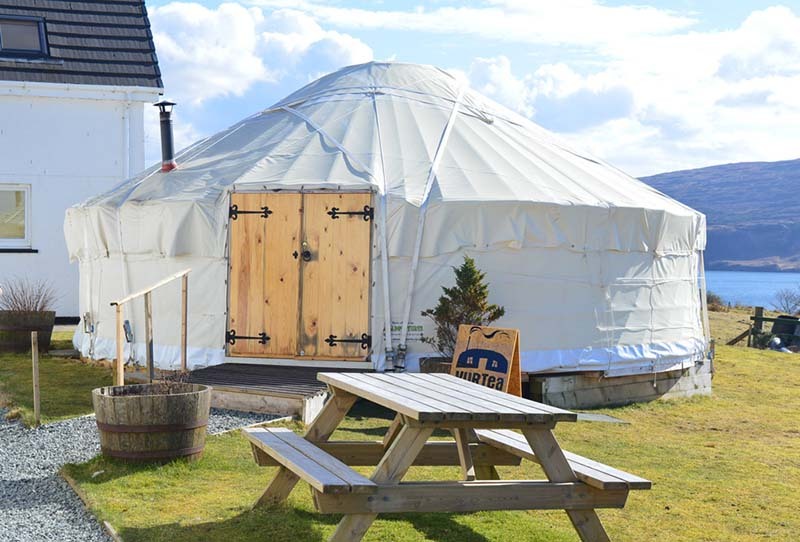 Skyeskyns stocks sheepskin and woollen clothing, accessories and footwear, mostly sourced in Scotland and the UK, so it’s not just your home that can be cosy. And to keep your sheepskin in tip-top condition, Skyeskyns even offers a refurbishment service. 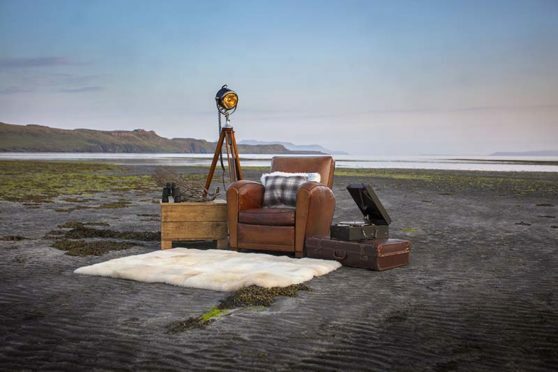 In early April, Skyeskyns will open their first shop in the centre of Portree, offering customers a convenient location to choose their favourite sheepskin rug or jacket and find out more about the tannery whilst enjoying a drink in the onsite coffee bar. It’s a big step for a small family business but one they hope will bring awareness of their craft and products to more visitors to the island as well as local people. Find out more on the Skyeskyns website.